Upper endoscopy, also known as EGD, is a procedure in which a thin scope with a light and camera at its tip is used to look inside the upper digestive tract – the esophagus, stomach, and first part of the small intestine, called the duodenum. Endoscopy can also help identify inflammation, ulcers, and tumors. Narrowed areas or strictures of the esophagus, stomach, or duodenum from cancer or other diseases can be dilated or stretched using balloons or other devices. 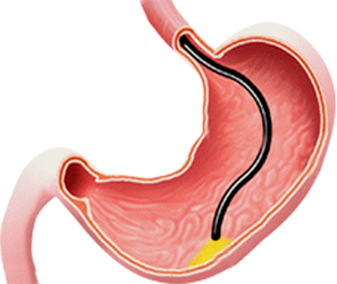 In some cases, a stent (a wire or plastic mesh tube) can be put in the stricture to prop it open. Objects stuck in the esophagus can be removed. Bleeding due to ulcers, cancer or varices can be treated.